Prices start at $65 per dayGolf Package Includes Accommodations, Green Fees, Cart Fees and All Taxes. Looking for a deal? We have it! Choose from the following golf courses below and play some great golf without spending a lot of money. This Myrtle Beach Golf Package has prices that start at $65 per day for golf and accommodations. Looking for an economical Myrtle Beach golf package? Then look no further! Myrtle Beach Golf Authority offers the best golf packages to suit your wallet. There are several factors that golfers should consider, when booking their Myrtle Beach golf package. Our ability to book your accommodations will give you peace of mind while booking your Myrtle Beach golf package. Accommodations are an essential part of all Myrtle Beach golf packages. If you have a small number in your group, rent a condo versus a house. Condos can vary in number of bedrooms from one to six and can vary in the number of beds per bedroom. Knowing the “beds per bedroom” count is essential to golf buddies willingness to sharing a bedroom but not a bed. Selecting the right accommodations can reduce costs considerably allowing you to save even more money when booking your Myrtle Beach golf package. If your golfing group is large, then consider renting a house over a condo. Renting a house provides the room your golf buddies require along with the at home comfort you enjoy. Before booking your Myrtle Beach golf package remember, Amenities Matter! Amenities like a pool, hot tub, and game room will add to your enjoyment, relaxation, and not clean out your wallet. Our golf specialists at Myrtle Beach Golf Authority are waiting to help you create your perfect Myrtle Beach golf package – call us today! 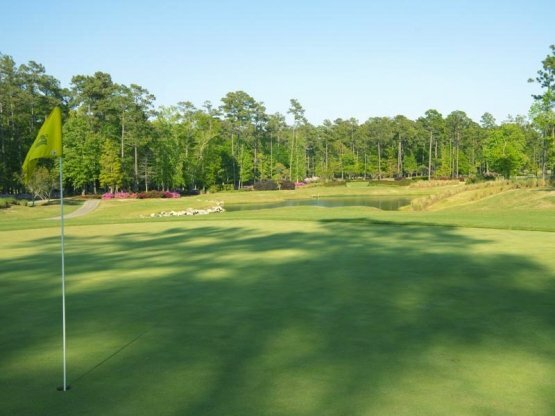 Aberdeen Country Club - Located just off of Hwy.9 in Longs, S.C., Aberdeen Country Club is a 27-hole Tom Jackson designed Myrtle Beach golf course. Since its opening in 1989 Aberdeen has been enjoyed by thousands of golfers from all over the world. The Scottish style layout features a natural setting with an abundance of wildlife. The three 9-hole layouts Woodlands, Meadows and Highlands all offer different challenges and distinct differences. 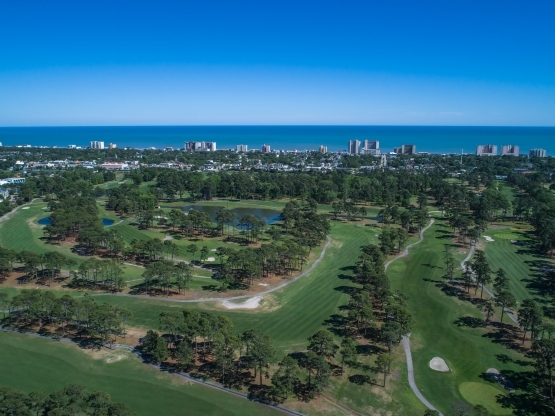 As with many Myrtle Beach championship golf courses, Aberdeen has an abundance of water, woods and strategic bunkering to challenge even the best Myrtle Beach golfers. 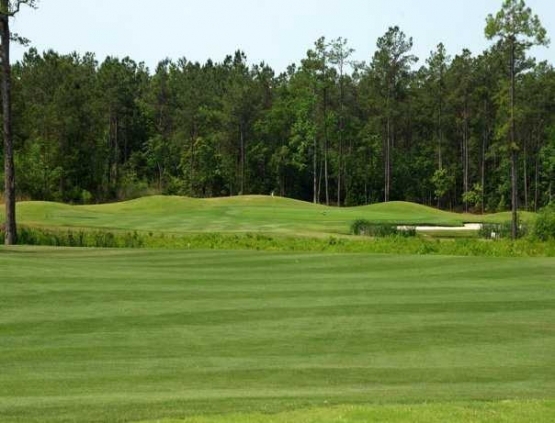 Azalea Sands Golf Course - If you are looking for a fun golf course on your next Myrtle Beach golf trip you will want to check out Azalea Sands Golf Club in North Myrtle Beach. This Gene Hamm designed golf course is conveniently located on Hwy. 17 in the exciting city of North Myrtle Beach. Azalea Sands was the first Myrtle Beach golf course to give golfers a choice of playing 8” cups of the traditional 4 ¼” cups. 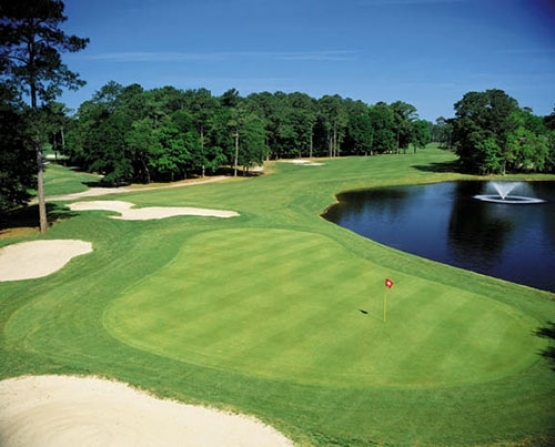 Beachwood Golf Club - Myrtle Beach is home to many outstanding Myrtle Beach golf courses and none of them are more popular than Beachwood Golf Club. The Gene Hamm designed course opened in 1968 and has been a favorite among locals and visiting golfers since. Beachwood is also known as the “Friendliest Course” with its entire staff dedicated to make your Myrtle Beach golf experience memorable. The course itself features wide, generous fairways, beautiful greens and plenty of challenge for all levels of golfers. 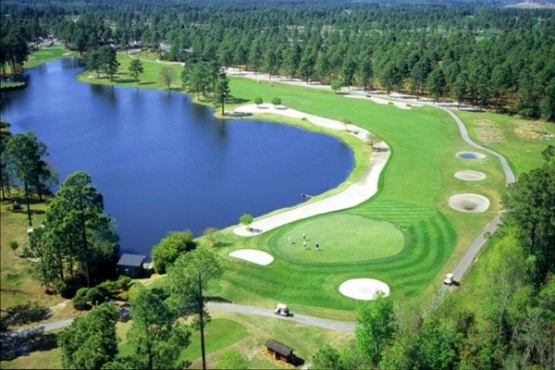 The course winds through towering Carolina Pines, lakes and beautiful landscaping and flowers. 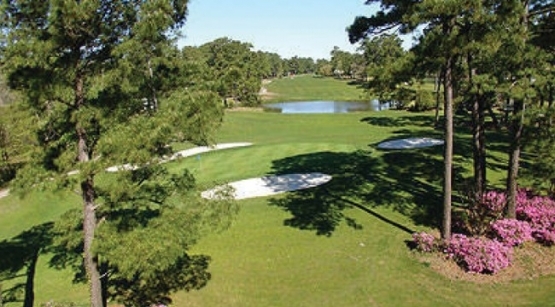 One unique feature for Beachwood is that unlike many other Myrtle Beach golf courses the fairways are not bordered by housing, only beautiful natural views. Wildlife is abundant at Beachwood with its natural setting. Brunswick Plantation - 27-holes of outstanding golf with each of its nines presenting a different challenge. Brunswick is located on Hwy. 17 just a few minutes north of North Myrtle Beach across the border in Calabash, North Carolina. The Magnolia Course is reminiscent of the links of Scotland with its extensive mounding, sand bunkers as well as grass bunkers. Avoiding hazards is key on this course as three of its holes has water and three other holes feature heavy bunkering. The Dogwood Course winds through dense hardwood trees and coastal terrain while bordering the Caw Caw Creek. The course is fairly wide open and features hole#6 with its island green. Carolina Shores Golf Club - A Tom Jackson designed course that has long been known as a challenging but fun Myrtle Beach golf course. Carolina Shores is conveniently located just a few minutes from North Myrtle Beach in Calabash, N.C. and it is a course for everyone. It can offer a challenge to the expert player as well as provide a fun Myrtle Beach golf experience for all skill levels. The course winds itself through tall tree lined fairways and incorporates plenty of strategically placed water hazards and bunkers, so accuracy is required. Crown Park Golf Club - Since 2001 Crown Park Golf Club has offered a fun golf experience for many golfers. This beautiful Myrtle Beach golf course in located in Longs, S.C. just a few minutes from North Myrtle Beach and Myrtle Beach. One of the great things about Crown Park is that there are no homes lining the fairways, which gives each golfer the chance to experience the outstanding setting, South Carolina wildlife and wonderful South Carolina nature at its best. Crown Park is a very player friendly course and fun for every skill level player. It offers four sets of tees, allowing everyone to pick the perfect one. From the back tees Crown Park measures approximately 6,500 yards and a very playable 4,600 yards from the red tees. FUN FOR EVERYONE! Diamond Back Golf Club - Noted golf course architect, Russell Breeden, designed this North Myrtle Beach golf course with the intent of using the wonderful Lowcountry woodlands as the perfect backdrop to this modern South Carolina designed golf course.The fairways of Diamond Back wind through this natural setting and lead to wonderfully maintained Jensen Ultra Dwarf greens. The course plays a little over 6,900 yards from the tips and is a challenge for even the most expert players with strategically placed bunkers and water hazards. Doglegs demand that you be able to work the ball to give you the best approach to the greens. Eagle Nest Golf Club - Golf course architect, Gene Hamm, made the most of the outstanding natural setting when he designed Eagle Nest Golf Club. 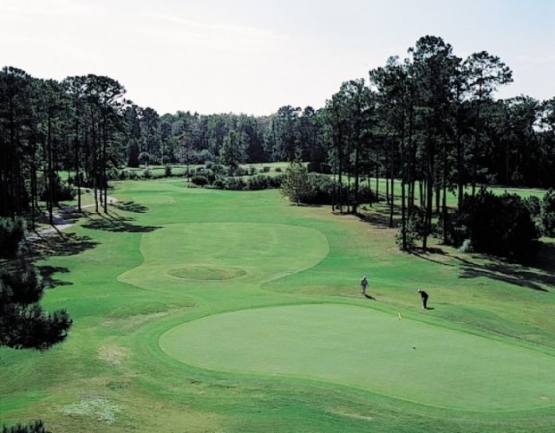 This Myrtle Beach golf course gives every golfer a challenging yet fun Myrtle Beach golf experience. Hamm used fabled Pinehurst as inspiration for this beautiful course while incorporating the beautiful natural setting that is second to none. The fairways wind through tall Carolina pines, natural lakes and beautifully landscaped areas that lead to outstanding MiniVerde greens. 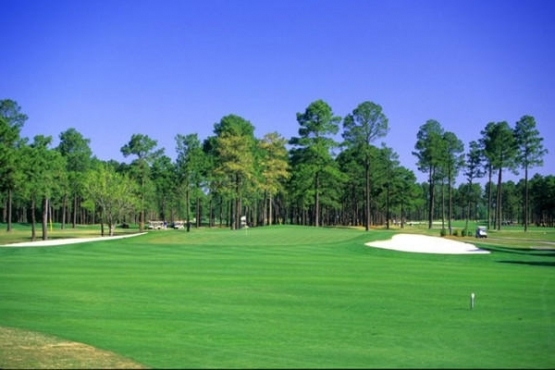 Eagle Nest is the perfect course for everyone, as it can offer a challenge to the very best players, but also provides a fun South Carolina golf experience for any level of golfer with its generous fairways and playability. Meadowlands Golf Club - Meadowlands Golf Club is located just minutes from North Myrtle Beach in Calabash, North Carolina and it offers some unique characteristics not common at all Myrtle Beach golf course. Designed by Willard Byrd and David Johnson, the Meadowlands has gently sloping fairways that feature elevation changes that are not always found on Myrtle Beach golf courses. Meadowlands was the first Myrtle Beach golf course to offer FootGolf. FootGolf is a combination of soccer and golf. The rules generally mirror the rules of golf, with 21-inch-diameter cups. Research has shown that core FootGolf players are ages 18-35, and they are often former high school and college soccer players who no longer have time to play in soccer leagues. 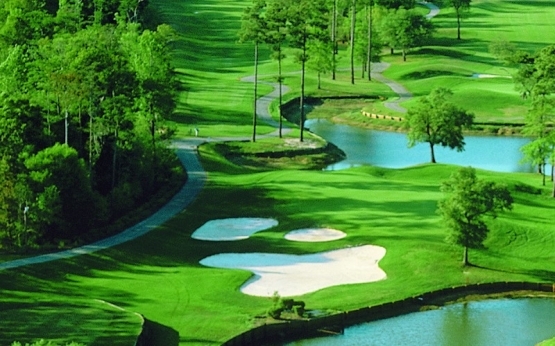 Myrtle Beach National Southcreek - South Creek is the shortest of the three Myrtle Beach National courses, but it offers plenty of challenge to golfers of all levels. The majestic beauty of coastal wetlands and hardwood forests make this a favorite among Myrtle Beach golf courses. The lush fairways wind their way through the beautiful surroundings and lead to immaculate Mini-Verde greens. Accuracy is a premium on South Creek as you navigate through large waste areas, wetlands, lakes and strategic bunkering. There are many dogleg holes that require you to maneuver the ball in both directions. Steep bunkers protect the undulating greens. Myrtle Beach National West Course - was designed by famed PGA Hall of famer, Arnold Palmer, and he created a beauty. It was rated 4.5 Stars in Golf Digest’s “Places to Play” guide in 2010. 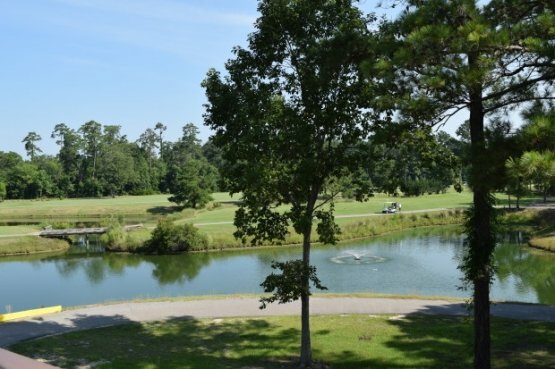 If natural surroundings are what you are looking for, that is what you will find on this scenic Myrtle Beach golf course. The wide fairways wind through towering Carolina pines and the natural setting and lead to outstanding large Mini-Verde greens. There are no houses surrounding this course, allowing you to take in nature and all it has to offer. Natural hazards and strategic bunkering offer a unique challenge to golfers of all skill levels. 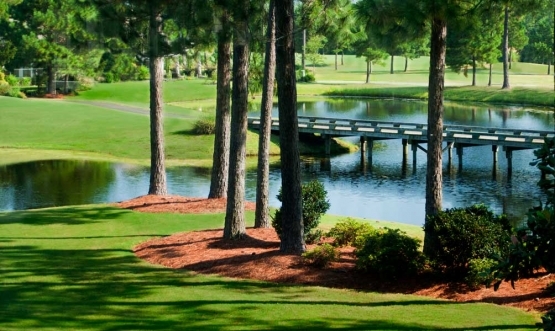 River Oaks Golf Club - River Oaks Golf Plantation is located just west of the scenic Intracoastal Waterway and only minutes from downtown Myrtle Beach. Renowned golf course architects Gene Hamm and Tom Jackson combined their talents to create this 27-hole Myrtle Beach golf course. River Oaks is surprisingly serene as it is so closely located to the hustle and bustle of Myrtle Beach. The three nine-holes are named for animals that were found in their natural habitats when the course was built. The “Fox”, the “Otter” and “Bear” courses are all challenging and fun. Sandpiper Bay Golf and Country Club - Sandpiper Bay has long been a favorite Myrtle Beach golf course for locals and tourists alike. This 27-hole Dan Maples design is both challenging and fun. The “Sand” and “Piper” nines are the original 18-holes and they feature rolling fairways that wind through the natural forests and water hazards. The greens are surrounded by bunkers and water hazards alike. The “Bay” nine has abundant water and bunkering as well. The natural setting is the ideal spot to view some of Sandpiper’s wonderful wildlife such as fox squirrels, fox, rabbits, a wide array of birds and of course gators galore.